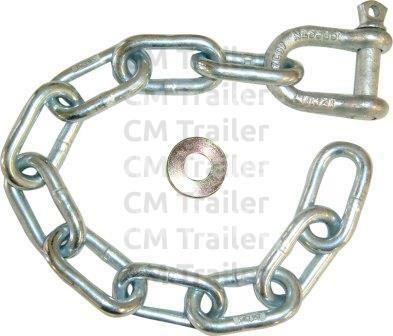 CM quality safety chain is manufactured to Grade 70 which exceeds NZS5467. 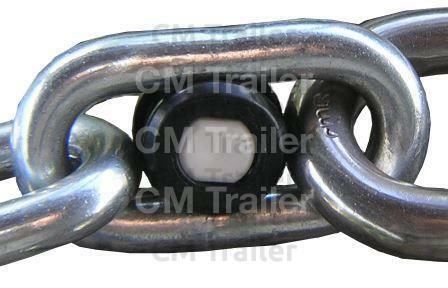 Rated for use up to 2000kg, this long-link 8mm high tensile chain is approved for light trailers. Every fourth link is stamped. 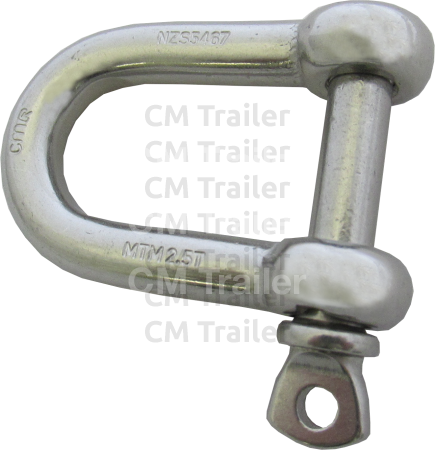 This CM designed shackle has a captive pin, which means it can't fall out, saving time and money. 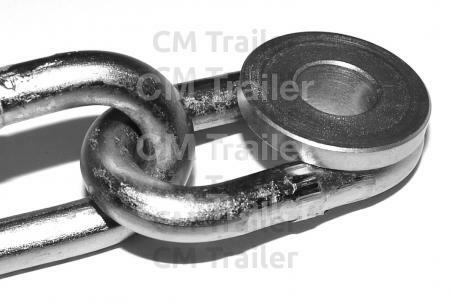 Plus, with a larger 23mm opening, CM's shackle also fits vehicles with heavier 22mm (7/8") thick drawbars. Tested, certified NZS5467 and stamped 2.5 tonne. Test certificate available. Made from long-lasting, poished stainless steel 316, will not rust or corode. 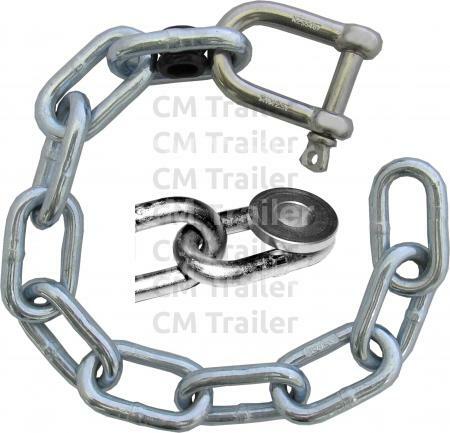 Innovative design stop the shackle body from falling out so no more lost D Shackles. 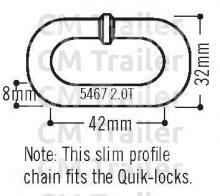 Fits any chain 14.5 - 16mm. UV resistant. 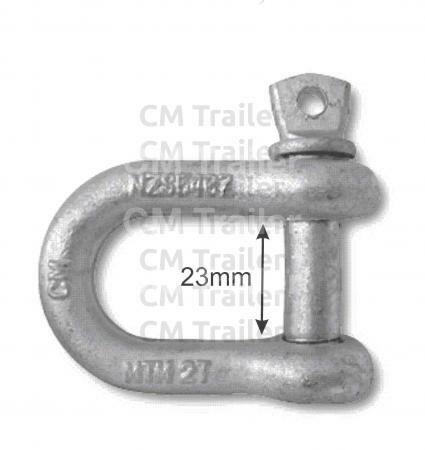 Used for bolting safety chain to trailer drawbar. 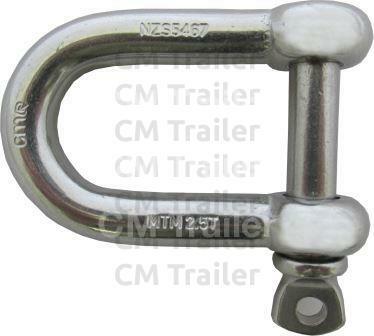 This CM designed shackle has a captive pin which stops the pin from falling out, saving time & money. 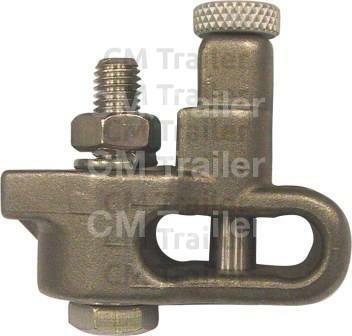 Plus with a larger 22.50mm opening CM's shackle also fits vehicles with heavier 22mm (7/8") thick drawbars. Tested, certified and stamped 2.5 tonne. Test certificate available. 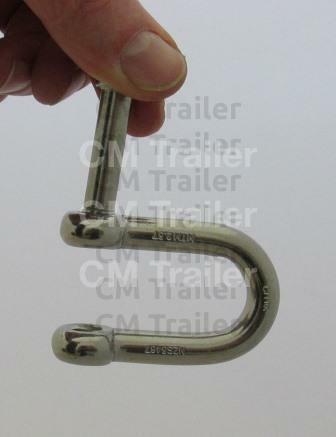 Made from long lasting, polished stainless steel 316, will not rust or corrode. Trailer safety chain connector. Made from Stainless Steel. Heavy construction. 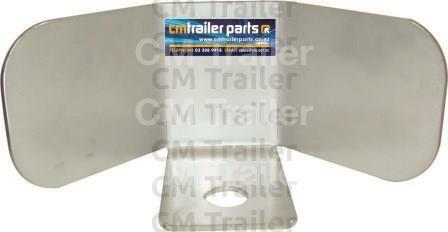 Protects the bumper from being hit by the trailer coupling when attaching trailer. 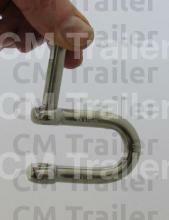 Manufactured from 4mm stainless steel. 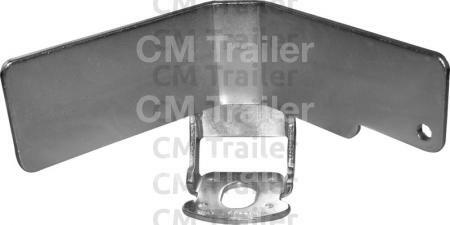 Removable wing slips into bracket and can be removed when not required. Self aligns coupling directly over your towball. 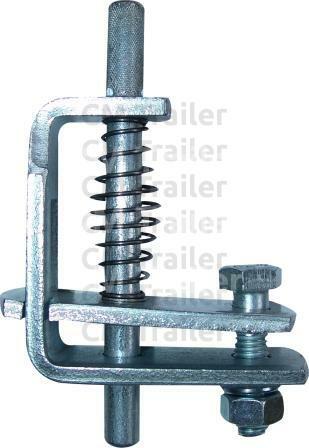 Acts as a security device with one simple reposition of the wing (see photo).